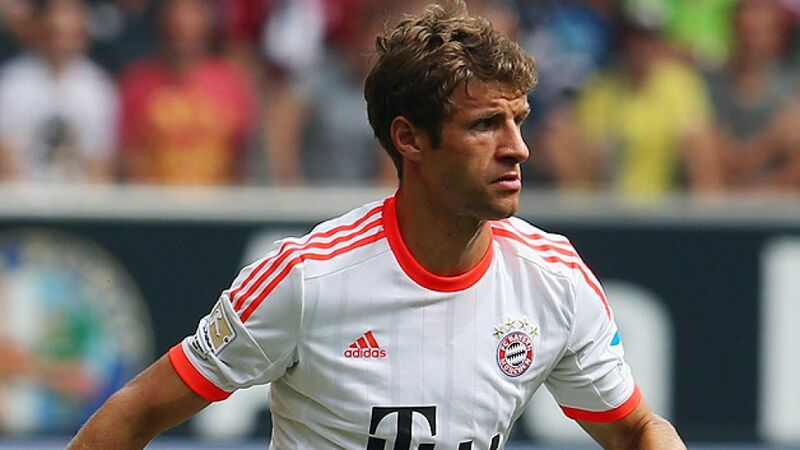 Munich - When Thomas Müller isn’t scoring goals for FC Bayern Munich, he’s assisting them. The 23-year-old provided the telling cross that allowed Mario Mandzukic to volley in the winning goal against Eintracht Frankfurt on Matchday 2, ensuring Bayern continued their 100 per cent start to the season. Furthermore, the Bavarians are now 27 games unbeaten in the Bundesliga. They still have a way to go to reach Hamburger SV's record of 36 games set between 1982 and 1983, but Müller remains confident that the team are at least well on course to get close to that number. “We know you can’t play football in advance, but we all want to win every game we play,” he told fcbayern.de. One notable feature of the encounter in the Commerzbank Arena was the way that Bayern dominated possession and controlled proceedings, something that couldn’t be said so readily in their opening league fixture. The Reds were 3-1 victors against Borussia Mönchengladbach on Matchday 1, but it might have been a different story had the Foals made better use of their numerous counter-attacking opportunities. In Frankfurt, however, Müller and Co. were far more in control. “We managed to keep a clean sheet and stopped them hitting us on the break, which was exactly what we had spoken about during the week,” commented the 42-time Germany international. Tactically, the team are also beginning to execute the changes that their Spanish coach Pep Guardiola is intent on implementing. Bastain Schweinsteiger played in an unorthodox sweeping position against the Eagles, for example, while Xherdan Shaqiri and Toni Kroos shared the space behind lone striker Mandzukic. Müller believes that the players are simply being encouraged to experiment playing with new systems while retaining their own personal styles. “Pep has made a few changes to team tactics but not to us as players. We all have our own strengths and weaknesses. We’re not really focusing on individuals right now; we’re looking to go in a new direction in terms of team tactics. We have so many options in attack that the focus for the next few weeks will be on defending." Those changes will be tested in Saturday's home tie with 1. FC Nürnberg. The fellow Bavarian outfit have drawn their opening two games of the season, but will be buoyed by Hiroshi Kiyotake's superb free-kick that rescued a point against Hertha Berlin. For Müller though, the tie should not spring too many surprises. "We've generally done well against them" he commented. He did highlight Nürnberg's tenacity, which has seen them come from behind in their first two games, though. "They play with great determination" noted Müller. "They are very strong in the air and come with great presence". The attacking midfielder also pointed out that there's a reason Bayern are the reigning European and domestic champions: "We're superior technically and tactically - but we have a responsibility to show that on the field". As long as he keeps scoring and assisting, that is unlikely to be a problem.